Tiffany Phipps: Prepping for Sandy! I spent the day prepping for Hurricane Sandy which involved navigating the masses at Whole Foods, hitting up the Hardware store (I've never owned a flashlight), and getting my last outdoor run in for a couple of days. People in lower Manhattan are going crazy and my building is officially closed until the storm has passed. NUTS! Layering up for a windy Sunday in my new Goorin Bros hat, Rag and Bone blazer, Splendid shirt, Zara scarf, Celine bag, Rag and Bone jeans, and EasySpirit (not a typo...easy spirit as in the most comfortable boots known to man). 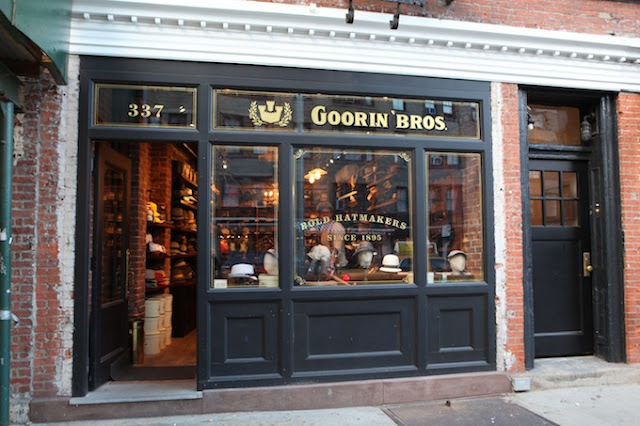 Goorin Bros awesome shop on Bleecker! 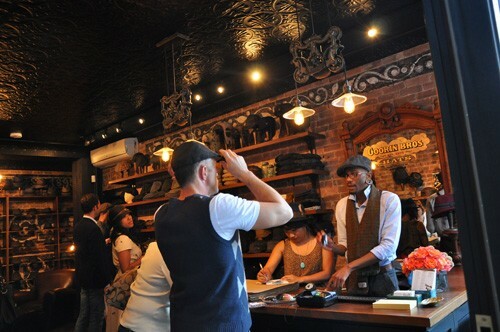 That hat looks good on you. Cute outfit. I think I will check out those boot.